The Big Sky Conference (BSC) is a collegiate athletic conference affiliated with the NCAA's Division I, with football competing in the Football Championship Subdivision. 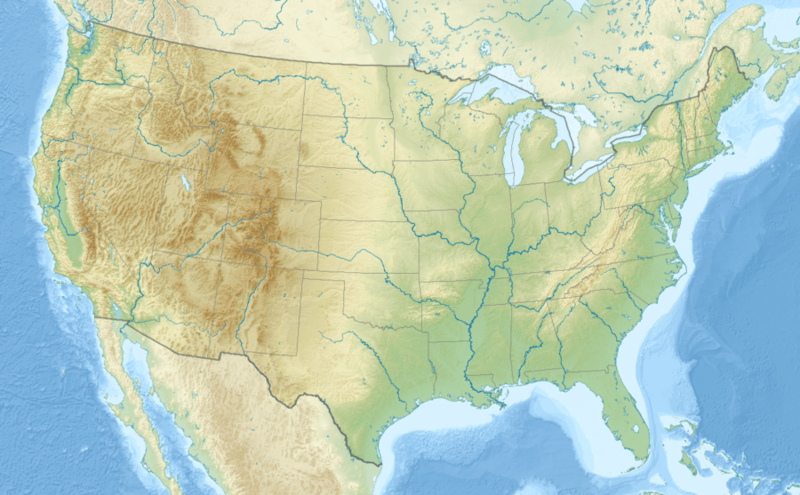 Member institutions are located in the western United States in the nine states of Arizona, California, Colorado, Idaho, Montana, North Dakota, Oregon, Utah, and Washington. Four affiliate members each participate in one sport. Two schools from California are football-only participants, and two schools from the Northeast participate only in men's golf. Initially conceived for basketball, the BSC was founded 53 years ago in 1963 with six members in four states; four of the charter members have been in the league from its founding, and a fifth returned in 2014 after an 18-year absence. The name "Big Sky" came from the popular 1947 western novel by A. B. Guthrie Jr.; it was proposed by Harry Missildine, a sports columnist of the Spokesman-Review just prior to the founding meetings of the conference in Spokane in February 1963, and was adopted with the announcement of the new conference five days later. The 2012-13 season marked the completion of 50 years of athletic competition and 25 years sponsoring women’s collegiate athletics. Before the season the league introduced a new logo to celebrate this. The 25th season of women’s athletics also marked a first for the league, as Portland State won the league’s inaugural softball championship. Women's sports were formerly conducted in the Mountain West Athletic Conference. The Big Sky sponsors championships in 16 sports, including men’s and women’s cross country, golf, indoor and outdoor track and field, basketball, and tennis. In addition, there are also championships in football, and women’s volleyball, soccer, and softball. All 12 of the Big Sky's full members will play football in the conference once Idaho drops from the FBS to FCS in 2018. ↑ Idaho had been a charter member of the Big Sky in 1963, but left the conference in 1996. ↑ The Montana women's basketball team is known as the Lady Griz, but all other women's teams are known as Grizzlies. Gonzaga, which has not fielded a football team since 1941, was a charter member in 1963. As of the 2016–17 school year, the Big Sky sponsors championships in seven men's and nine women's NCAA sanctioned sports. Each core member institution is required to participate in all of the 13 core sports. Men's core sports are basketball, cross country, football, indoor track and field, outdoor track and field, and tennis. Women's core sports are basketball, cross country, golf, indoor track and field, outdoor track and field, tennis, and volleyball. Cal Poly San Luis Obispo and UC Davis participate as football-only affiliates, otherwise participating in the Big West Conference. Binghamton and Hartford are affiliates in men's golf only, otherwise participating in the America East Conference. Before the 2014–15 school year, the latter two schools had participated in men's golf alongside five full Big Sky members in the single-sport America Sky Conference. The return of Idaho brought the number of members participating in men's golf to six, which led to the Big Sky adding men's golf and absorbing the America Sky Conference. The Big Sky is unusual among Division I all-sports conferences in not sponsoring baseball. The conference originally sponsored baseball, with all members participating. When Boise State and Northern Arizona arrived for the 1971 season, competition was split into two divisions of four teams each, with the winners in a best-of-three championship series. 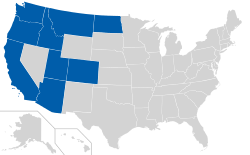 Montana State and Montana soon dropped the sport and by the 1973 season, only six teams remained but the divisions were kept, and Boise State moved over to the North Division for two years. In May 1974, the Big Sky announced its intention to discontinue five of its ten sponsored sports. It retained football, basketball, cross-county, track, and wrestling, and dropped conference competition in baseball, golf, tennis, swimming, and skiing. Of the eleven Big Sky baseball titles, four each went to Idaho (1964,'66,'67,'69) and Gonzaga (1965,'71,'73,'74), and three to Weber State (1968,'70,'72). Gonzaga won the final title in 1974 over Idaho State in three games, after losing the first game in Pocatello. Southern division champion Idaho State chose to end its baseball program weeks following the conference's announcement, and Gonzaga, Idaho, and Boise State joined the new Northern Pacific League (NorPac) for baseball in 1975. Boise State and Idaho competed in the NorPac for six seasons, then discontinued baseball after the 1980 season. North Dakota announced on April 12, 2016 that it would discontinue its baseball program, effective following the 2015-16 season. Currently, two Big Sky members sponsor baseball: Northern Colorado and Sacramento State. Both compete in the Western Athletic Conference. ↑ Idaho plays football in the Sun Belt Conference through the 2017 football season and then will return to the Big Sky Conference. ↑ Affiliates Cal Poly San Luis Obispo and UC Davis. ↑ Affiliates Binghamton and Hartford. Note: The Idaho Vandals men's basketball team plays early season home games at Memorial Gym, home of the Vandals women's basketball team. North Dakota North Dakota State 1894 Nickel Trophy North Dakota State North Dakota leads 62–46–3 Their 2015 game was the first since 2003; next game scheduled for 2019. The best finish by a Big Sky team in the men's NCAA Tournament came in 1977, when the Idaho State Bengals advanced to the Elite Eight, with a one-point upset of UCLA in the Sweet Sixteen in Provo, Utah. The highest seed granted a Big Sky team was in 1982: the Idaho Vandals under Don Monson were seeded third in the west regional. They beat Lute Olson's Iowa Hawkeyes in nearby Pullman in overtime, but lost to second-seeded Oregon State in the regional semifinals (Sweet Sixteen), also played in Provo. Other Big Sky teams that advanced to regional semifinals include the Weber State Wildcats in 1969 and 1972, and the Montana Grizzlies under Jud Heathcote in 1975. They fell to UCLA by just three points, who went on to win another title in John Wooden's final year as head coach. This list goes through the 2013 season. ↑ "Six intermountain colleges move toward athletic ties". Lewiston Morning Tribune. (Idaho). Associated Press. October 30, 1962. p. 8. 1 2 Missildine, Harry (February 26, 1963). "Six western schools create Big Sky athletic conference". Spokesman-Review. (Spokane, Washington). p. 12. 1 2 "Big Sky is ready for league action". Spokane Daily Chronicle. Washington. February 26, 1963. p. 13. ↑ Missildine, Harry (February 20, 1963). "The conference should band smoothly". Spokesman-Review. (Spokane, Washington). p. 12. ↑ "Officials view sports loop". Spokane Daily Chronicle. (Washington). February 25, 1963. p. 13. 1 2 College Rankings | Best Colleges | US News. Colleges.usnews.rankingsandreviews.com. ↑ Burton, Roy (June 4, 2014). "WSU joins friends/foes as Big Sky brings back men's golf". Standard-Examiner. Ogden, UT. Retrieved June 13, 2014. ↑ "Big Sky baseball: split loop planned". Spokane Daily Chronicle. May 19, 1970. p. 13. ↑ "Vandals list baseball play". Spokane Daily Chronicle. January 28, 1971. p. 22. ↑ "Big Sky baseball altered; MSU out, NAU in playoffs". Lewiston Morning Tribune. Associated Press. May 19, 1971. p. 13. ↑ "Key games: Big Sky Conference". Spokane Daily Chronicle. April 23, 1973. p. 17. ↑ "Idaho off probation, loop titles dwindle". Lewiston Morning Tribune. Associated Press. May 15, 1974. p. 13. ↑ "Baseball axed in Big Sky". Lewiston Morning Tribune. May 29, 1974. p. 15. ↑ "Vandals Arizona-bound". Spokesman-Review. May 29, 1969. p. 13. ↑ "Baseball champions". Big Sky Conference. Retrieved August 9, 2012. ↑ "Gonzaga blasts ISU for conference title". Lewiston Morning Tribune. May 22, 1974. p. 15. ↑ "Idaho (State) drops baseball". Ellensburg Daily Record. June 5, 1974. p. 9. ↑ "Idaho, Gonzaga join new baseball circuit". Spokane Daily Chronicle. Associated Press. June 24, 1974. p. 16. ↑ Goodwin, Dale (May 13, 1980). "Baseball's 'out' at Idaho". Spokesman-Review. p. 19. ↑ "UND to reduce number of sports after 2015-16 season". University of North Dakota. Retrieved April 12, 2016. ↑ "Alerus Center". University of North Dakota. Retrieved December 10, 2014. ↑ "BettyEngelstadSiouxCenter". University of North Dakota. Retrieved December 10, 2014. ↑ "RalphEngelstadArena". University of North Dakota. Retrieved December 10, 2014. ↑ "The Nest-Basketball, Volleyball, Gymnastics". Sacramento State Athletics. Retrieved March 3, 2016. ↑ "League Announces Future Conference Football Schedules". Big Sky Conference. Retrieved May 9, 2016. ↑ "Friel named Big Sky loop commissioner". Lewiston Morning Tribune. Associated Press. June 8, 1963. p. 2. ↑ "Frosh can play Sky frosh grid sport: but not Idaho". Spokane Daily Chronicle. Associated Press. November 25, 1970. p. 12. ↑ Payne, Bob (May 19, 1971). "New Big Sky commissioner Roning sees fine future". Spokesman-Review. p. 10. ↑ Newnham, Blaine (January 6, 1977). "A chance in the Sky". Eugene Register-Guard. p. 1C. ↑ "New Big Sky boss balks at expansion". Spokesman-Review. Associated Press. May 21, 1981. p. 26. ↑ "Changing Big Sky prepares for final fling". Moscow-Pullman Daily News. Associated Press. September 1, 1995. p. 1B. ↑ "Big Sky announces new commissioner". Big Sky Conference. Retrieved April 29, 2016.